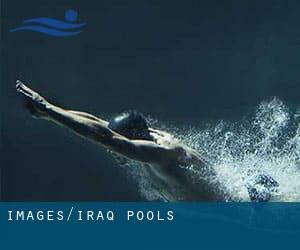 Most in the Iraq Pools present both open lanes for independent swimming and also guided activities like water aerobics or Aquabike. We quite possibly do not know all the Pools in Iraq. Are you missing any? Contact us!. Not all countries are the very same, and swimming rules and regulations are changing from one country to the other. So, if this can be your first time seeking for Iraq Pools, be sure to contact the premises prior to you drop by. Going to a Iraq Swimming Pool is escalating specially within the elderly population sectors of Iraq, who have suffered some kind of muscle or bone damage. Please have a look at the pools swimmers like you have reported near Iraq. Please, report any Iraq Swimming Pool not listed here. Please use the get in touch with details provided at every pool profile to check if they're offering aquagym lessons, because is just not so normal to see an Aquagym in Iraq. One in the benefits of outdoor swimming in Iraq may be the possibility to sunbathe during the summer season. Taking it with extra care, sunbathing is healthful since introduces Vitamin D into the body, so the most effective selection seems to be switching among indoor and outdoor pools depending on the season. Whereas Arbil Governorate is one of the six most populous cities in Iraq with almost 932.800 residents, you shouldn't miss that one if you're going to Iraq. Swimming is really a outstanding idea to keep your body active throughout your visit to Baghdad (Iraq), or even if you're a local. Swimia helps you to discover your closest Pool in Baghdad. Without a shadow of a doubt, swimming in Mosul will be the best approach to unwind after perform. Take a couple of minutes to browse Swimia's catalog to find a Swimming Pool in Mosul. Holding an estimated population of 2.600.000, Basra is among the most important cities in Iraq. Check all the Swimming Pool in Basra and its surrounding area. Saadoun Street , Green Zone , Baghdad . Swimmers like you reported 25 meters+/- circular shape, Outdoors. Unfortunately we do not have the email address of this Swimming Pool, but we can provide you with the phone number. Street 47 , Mahallat 102 , Green Zone , Baghdad . Swimmers like you reported 25 meters, 5 lanes, Outdoors. Unfortunately we do not have the email address of this Pool, but we can give you the phone number.